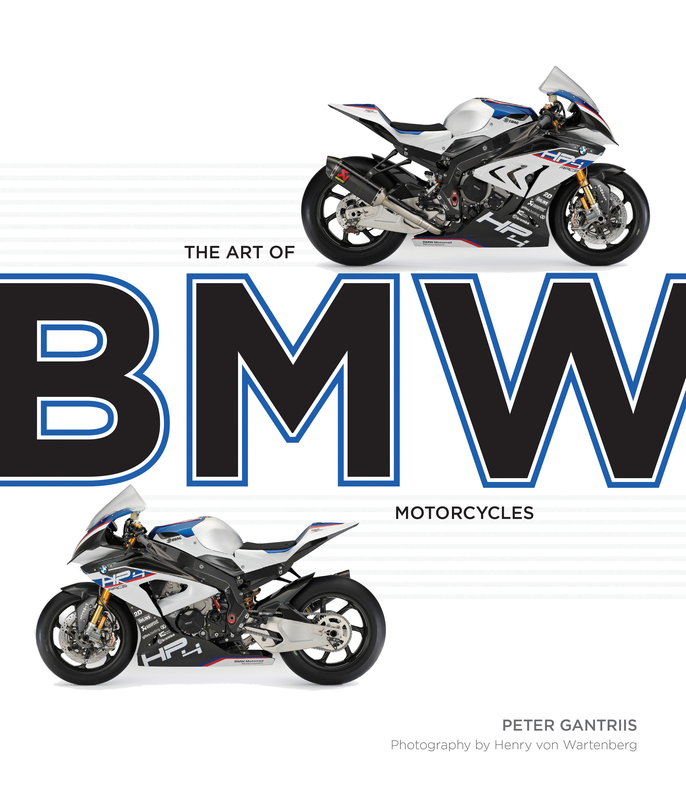 TheArt of BMW Motorcycles presents stunning studio portraiture of the rolling sculptures that BMW has been creating for nearly one hundred years. TheArt of BMW Motorcycles presents the rolling sculptures that are BMW motorcycles in studio portraits, each bike accompanied by a short history of the machine. All the classic bikes are here--pre-World War II BMWs like the R5 that defined performance in that era; the military R12 that carried the Wehrmacht as it blitzkrieged its way across Europe; the R75M that accompanied Rommel’s Panzers in North Africa; the Earles-forked R69S that offered the perfect platform for mounting a Steib sidecar; the R90S café racer; and the GS (Gelände Sport) series that launched a dual-sport revolution. All the bike families are covered: the side-valve machines from the early years, the early overhead-valve performance bikes, the postwar Airheads and Oilheads, the four-cylinder and six-cylinder touring bikes, the early pushrod singles, the modern overhead-cam singles, the latest parallel twins, and inline-four cylinder sport bikes. From the first model, the R32 that launched BMWs motorcycle dynasty, to the latest (and fastest) model, the World Super Bike dominating S1000RR, this book captures nearly a century of motorcycling excellence. Peter Gantriis is founder and president of RPM Research, LLC, a market research and consulting firm that works with the world’s leading automotive and powersports manufacturers. Peter has an MBA from the University of Minnesota and is an avid motorcycle and car enthusiast. He lives near St. Paul, Minnesota, with his wife and three children. When he’s not using his free time writing for Motorbooks, Peter enjoys boating, skiing, and investing in slow racehorses. Official Website: www.motorcyclemarketresearch.comOn Twitter: @rpm_researchHENRY VON WARTENBERG is a freelance photographer from Buenos Aires, Argentina, whose work has appeared in many books and magazines, such as National Geographic Adventures.